Although the food industry is beginning to make headway with itssustainability initiatives, substantially more progress is neededin order to feed the world's growing population sustainably.The challenge is that the topic of sustainability can seemoverwhelming and there is limited information that is specific tothe food industry. 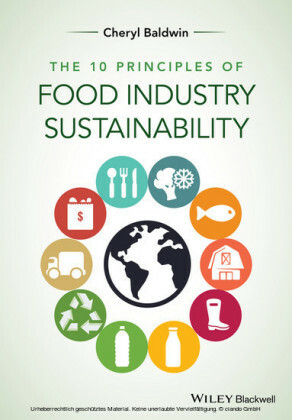 Written by an experienced food industry professional with yearsof experience in sustainability, The 10 Principles ofFood Industry Sustainability inspires and informs the progressrequired to nourish the population, revitalize natural resources,enhance economic development, and close resource loops. The bookmakes this complex topic approachable and actionable by identifyingthe most pressing sustainability priorities across the entire foodsupply chain and showing, with tools and examples, how producers,processors, packers, distributors, marketers and retailers all playa role in advancing improvement. The book begins with an overviewof the Principles of sustainability in the food industry: what theyare and why they matter. 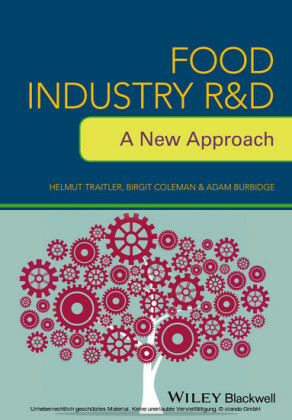 Subsequent chapters focus on each of theTen Principles in detail: how they relate to the food industry,their global relevance (including their environmental, health, andsocial impacts), and the best practices to achieve the potential ofmeaningful and positive progress that the Principles offer.Specific examples from industry are presented in order to providescalable solutions and bring the concepts to life, along with topresources for further exploration. 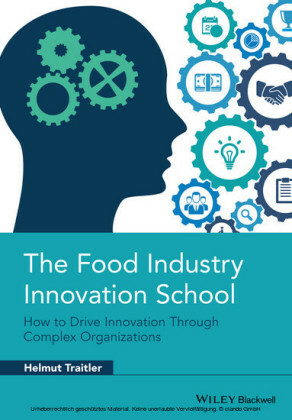 The Principles, practices, and potential of sustainability inthe food industry covered in this book are designed to bemotivating and to offer a much-needed and clear way forward towardsa sustainable food supply. Dr Cheryl J. Baldwin is Vice President of Consulting atPure Strategies, Gloucester, Massachusetts, where she assistscorporate clients on the development and execution of technical andorganizational strategies to improve their sustainabilityperformance. Safe and highly nutritious food is accessible and affordable to promote and support a healthy population. Agricultural production beneficially contributes to the environment while efficiently using natural resources and maintaining a healthy climate, land, water, and biodiversity. Use of animals, fish, and seafood in the food supply optimizes their well-being and adds to environmental health. Producer equity and rural economy and development are strengthened with fair and responsible production and sourcing. Safe and suitable working conditions are provided to support employees across the supply chain. Food and ingredient processing generates resources and requires minimal additional inputs and outputs. Packaging effectively protects food and supports the environment without damage and waste. Food and ingredient waste and loss are prevented across the supply chain and what cannot be avoided is put to a positive use. Food and ingredients are efficiently delivered across the supply chain and to the consumer. Our food system has the potential to produce renewable energy, replenish freshwater and other natural resources, provide an effective means of developing economic capacity, and remove waste through closing resource loops while nourishing the population. Are we achieving this potential? No, we fall short. In fact, we are not able to feed our population and yet cause astounding environmental and social damage. The Principles of Food Industry Sustainability provide guidance on what to focus on across the supply chain to meet the needs of the population while not contributing to destruction of the environment or society. This book explains these principles through examples of how the supply chain has adopted them and what approaches are working, best practices. In many cases the efforts are moving past reducing detrimental impact and toward the goal of having meaningful and positive effects. 1.3 What is sustainability in the food industry? The world's population depends on the food industry to produce, process, and deliver safe and nutritious food every day of the year. The demands on the food industry from farm to fork continue to increase. The global population is expected to increase from the current 7 billion to nearly 10 billion by 2050, thereby increasing food needs more than 60% (Consultative Group on International Agricultural Research [CGIAR] 2014). Most of the growth will be in developing countries where improvements in standards of living are rapidly shifting the diet from grains, beans, and other legumes to more animal protein. This will increase the demand for meat and poultry about 35% by 2015 (Pew 2008). Yet, the food system is already contributing to widespread environmental damage and compromised health and livelihoods of our global population. The amount of energy used to produce, process, package, store, and transport food is seven and a half times the amount of energy the food actually provides in return (Heller & Keoleian 2000). The food supply is thereby a significant factor in climate change, water use and pollution, and the reduction of fish stocks in the oceans; at the same time 33% of adults in the United States are obese and over 12% of the world's population is malnourished.